Things are not going well for casinos in Macau. It has been reported that casino executives have reinforced their personal security after a series of attacks. 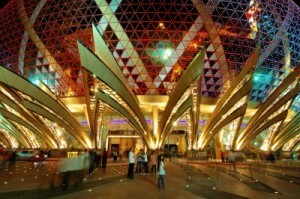 With violence on the increase and gambling decreasing, Macau based casinos are facing tough times. Last month Ng Man-sun was attacked by a gang of six men in the New Century Hotel and is still in hospital under the protection of bodyguards. It has been reported that the attackers deliberately severed the tendons on Ng’s arms and legs in order to cause permanent damage. This attack was followed by a number of murders, one of a woman who lived in the Cotai area and a further two at the Grand Lapa Hotel. The violence has reminded people of the late 1990s when the enclave witnessed frequent assassinations, car-bombings and gangland attacks as gangs battled for control of the city’s VIP gambling rooms. At the same time the gambling market is suffering from a slowdown as the Chinese economy suffers. As the economy slows down, high-rollers are visiting the casinos less often and gambling smaller amounts of money. The forecasts for Macau gambling revenue growth has been downgraded by Fitch Ratings for the second time in months and is currently estimated at 10 – 12% growth. According to Grant Govertsen, an analyst at Union Gaming Group, VIPs who are relied upon to contribute more than 70% of Macau’s gambling revenue are not spending as much as they once did. 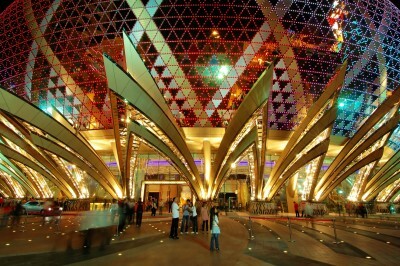 In May gambling revenue growth slowed in Macau to 7.3%, its lowest rate since July 2009. There was a recovery in June when gambling revenue increased to 12.2% ($2.9 billion) but this was still behind market expectations. However, not everyone is pessimistic. Sheldon Aslderson, the owner of LVS is still positive about the Asian market. He said anyone who believes that the “cultural habits of the Asian people are changing” is just missing out on a good opportunity. Wesley Sneijder unites with Mourinho, Modric out.